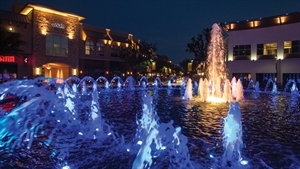 From fantastic shopping and delicious cuisine to world-class venues and gorgeous parks, Plano has everything you need. Once a small quiet farming community, Plano is now a city well known across the country for progress and prosperity. Home to several Fortune 1000 companies and more than 10,000 businesses, Plano offers up small town charm in a modern urban village. Conveniently located about 30 minutes from the Dallas/Fort Worth International Airport, Dallas Love Field Airport, and downtown Dallas, Plano is among the safest, easiest, cleanest, family-friendly and most economical cities in Texas, if not in the United States. Plano boasts a charming downtown area recently named one of the 10 best in America by Livability. The area’s authentic brick streets are lined with creative restaurants, specialty shops including quaint antique stores, art galleries, artist studios, and more. Visitors can see more than a dozen restored historic homes and other properties that are designated as historic landmarks, most of which are within walking distance of the downtown area. Located in downtown Plano’s Haggard Park Historic District is the Interurban Railway Museum. The museum is housed in a building that served as a primary stop on the Texas Electric Railway that ran from Denison to Dallas from 1908 to 1948. It contains many artifacts associated with the Interurban Line, as well as a colorful history of Plano. Next to the station is car 360, one of the original cars that carried mail and passengers. Also located in the Haggard Park Historic District are three “Plano Stages” – the Courtyard Theater, the Cox Building Playhouse, and McCall Plaza which opened in April 2016. A “home for the arts in Plano,” the ArtCentre of Plano features art galleries for displays of local artists and national shows. Not far from the Downtown Plano Arts District is Heritage Farmstead, a four-acre museum that preserves a way of life during the height of prosperity in the early 1920s. The city has 3,600 acres of public parks offering more than 40 miles of recreation trails. Worth a visit is the Arbor Hills Nature Preserve, a 200-acre park featuring vast areas of natural beauty for walking, jogging, orienteering and other outdoor activities. Amenities include a playground, restrooms, approximately 2.3 miles of paved recreational trails, approximately two miles designed as an off-road cycling trail, an observation tower and three pavilions. Relive some memorable moments from the television series “Dallas” at Southfork Ranch in nearby Parker. The “Dallas Legends: Fact To Fantasy” exhibit features such memorabilia as the gun that shot J.R., Lucy’s wedding dress and video clips from the popular series. The Downtown Plano Arts District is a charming downtown area recently named one of the 10 best in America by Livability. The area’s authentic brick streets are lined with creative restaurants, specialty shops including quaint antique stores, art galleries, artist studios and more. There are venues for theater, live music, and performing arts. Some events held downtown include: ArtFest, AsiaFest, the Plano International Festival, Dickens, Downtown Plano Art & Wine Walks, and many more. Dallas Area Rapid Transit (DART) has two train stations in Plano: Downtown Plano Station, and Parker Road Station. Limited DART bus service is also available; routes can be found on DART.org. Texas Health Presbyterian Hospital Plano, LifeCare Hospitals of Plano, The Medical Center of Plano, Baylor Scott & White Medical Center - Plano, Children's Medical Center Plano, and The Heart Hospital Baylor Plano. Jan 31.1 F° 41.8 F° 52.5 F° 2.4 "
Feb 34.9 F° 46.5 F° 58.1 F° 2.9 "
Mar 42.2 F° 53.9 F° 65.6 F° 3.4 "
Apr 51.2 F° 62.3 F° 73.3 F° 3.7 "
May 60.8 F° 70.5 F° 80.2 F° 5.7 "
Jun 68.5 F° 78.1 F° 87.7 F° 4.1 "
Jul 72.0 F° 82.3 F° 92.7 F° 2.4 "
Aug 70.6 F° 81.6 F° 92.6 F° 2.2 "
Sep 64.2 F° 74.8 F° 85.4 F° 3.2 "
Oct 53.0 F° 64.3 F° 75.7 F° 4.2 "
Nov 42.4 F° 52.8 F° 63.2 F° 3.7 "
Dec 34.1 F° 44.5 F° 54.8 F° 3.2 "
Spring temperatures are cool with averages in the low 60's and highs in the low 70's. Nights are cool with lows in the low 50's. Summer temperatures are warm with averages in the low 80's and highs in the low 90's. Nights are mild with lows in the low 70's. Fall temperatures are cool with averages in the low 60's and highs in the mid 70's. Nights are cool with lows in the low 50's. Winter temperatures are cold with averages in the mid 40's and highs in the mid 50's. Nights are cold with lows in the low 30's. Condos Over 50 Communities “Plano has great neighborhoods throughout our city, and our residents have a plethora of living options to suit their individual lifestyle needs,” Mayor Harry LaRosiliere says. The median home price in Plano is $231,600, while the median rent for a one bedroom apartment is $1148. Home care Senior center Visiting nurses Within Plano are a variety of options for senior living and healthcare for our aging population. Whether our senior residents prefer independent living or have special care needs, a diverse assortment of facilities is available. Independent living residences are available across the City of Plano that provide licensed and certified healthcare services for residents requiring home health and personal assistance. For memory-challenged seniors, there are also many senior living centers which offer residential living and nursing care to fit every need. Find out more about the Volunteer Management Conference (http://www.plano.gov/CivicAlerts.aspx?AID=1513).